I’ve talked about storage on my site a few times, but it is a subject that we all need to address often. If you are not a mom yet, but have a babe in your belly you are about to find out how many “things” come along with having a child. For me, having two, or any mom with more than one…we know just how many toys, blankets, shoes, McDonald’s toys…yep, accumulate inside our homes. It’s virtually impossible to not let this happen, but since it does why not hide it all in a very aesthetically pleasing way. 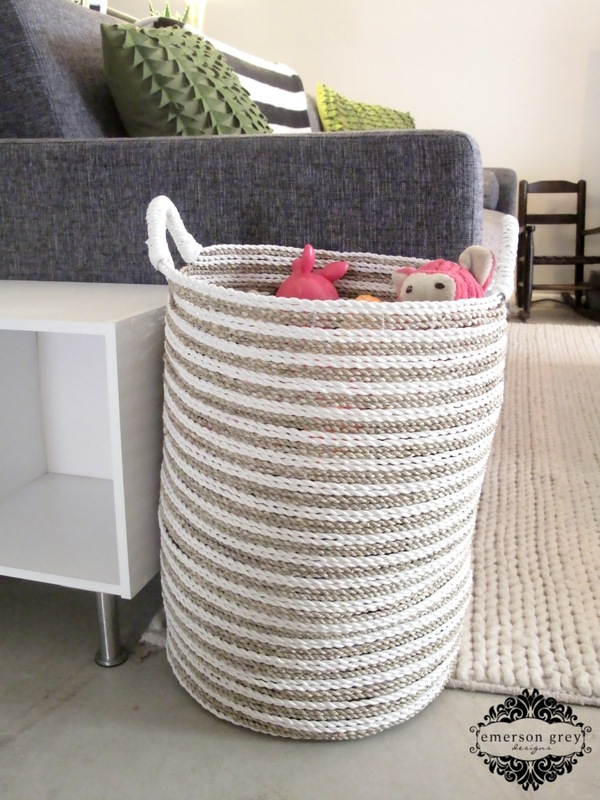 I’ve recently made some new basket purchases myself that I just love and wanted to share a few with you. This white and natural striped basket is at the end of the sofa and catches all the extra toys just laying on the floor throughout the day. It is the perfect size and the handles make it really easy to transport from room to room. 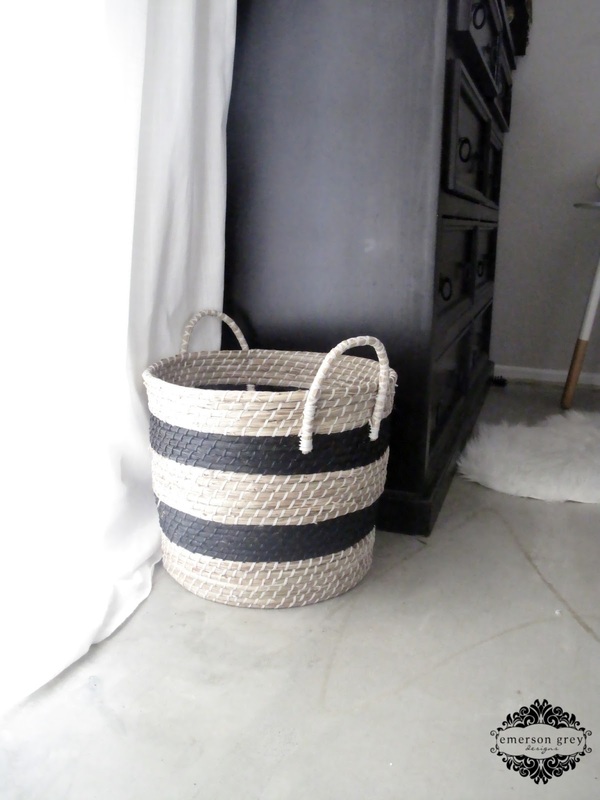 This black and natural striped basket is in the master bedroom. From day to day the contents change, whether it be blankets, my daughter putting her dolls to sleep in it, I just love having it available to contain the chaos. On a recent trip to Homegoods I spied this entire wall of amazing baskets. I was just yearning to have a local client to call to come over and buy a few right up. 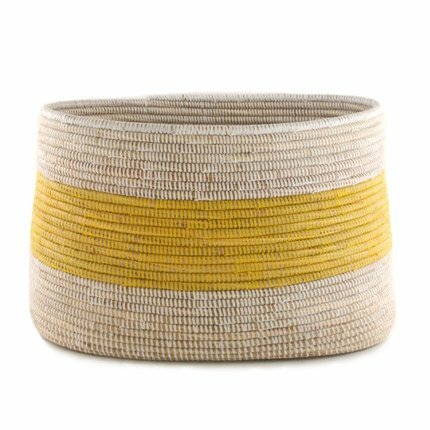 If you are looking for some colorful basket suggestions here are my favorites right now available online. These aren’t new to Land of Nod, but they are still great. 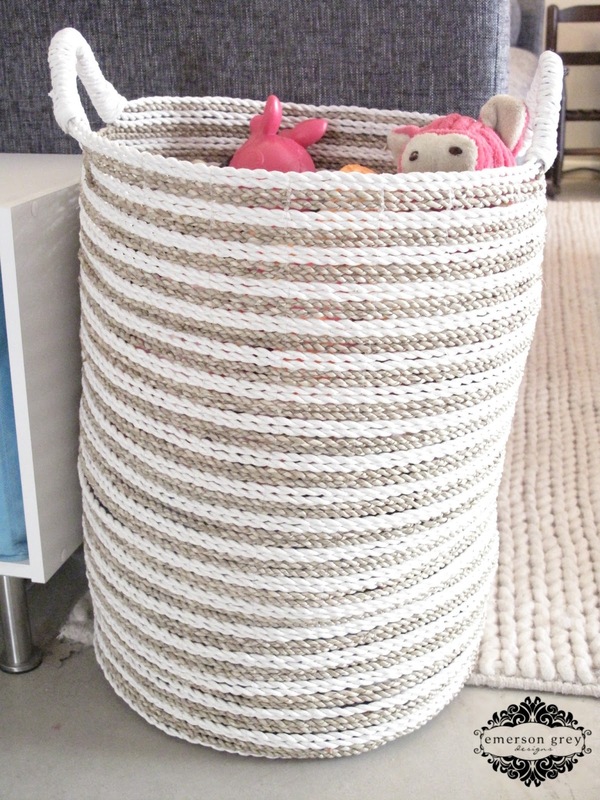 I love the option of getting the basket with the lid…talk about hiding the chaos of toys and clutter. 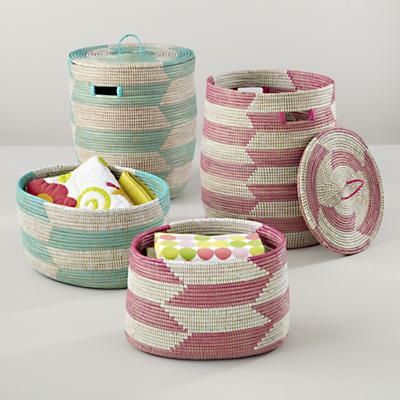 These Charming Baskets are a great addition to any room. Colonial Mills makes a wide variety of solid colored baskets, as well as multi colored baskets. You can find their list of online retailers here…I found a large assortment on Wayfair . 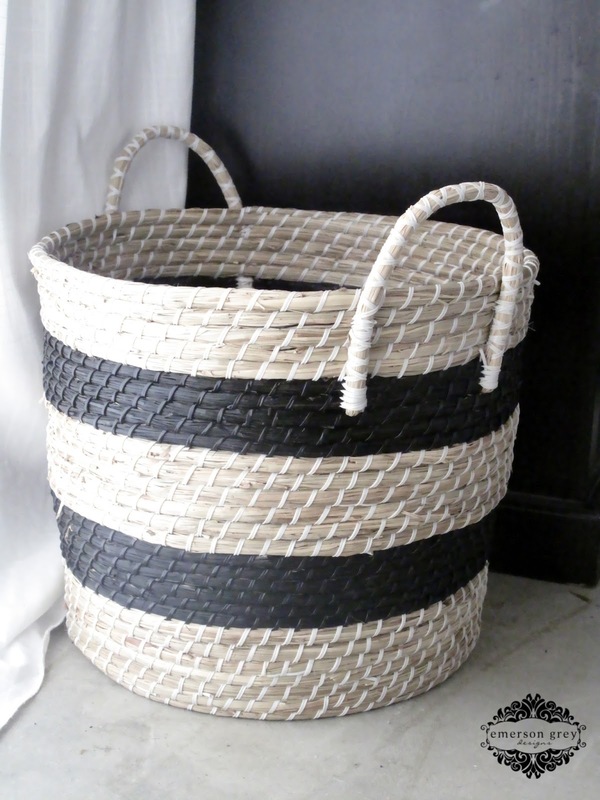 Where did you purchase the white and natural striped basket? Hi Stacy…I found it at my local TJ maxx. They always have the best assortment of baskets.